The Colorado business community is lining up in opposition to proposed legislation that would require all job creators in the state to provide a minimum three months of paid time off. Any Colorado worker meeting specific criteria would be eligible for 12 weeks of paid family leave, according to Senate Bill (SB) 188, the Family and Medical Leave Insurance (FAMLI) bill. To cover the costs, all workers and their employers would pay 0.32 percent of employees' incomes to the state family leave fund. That would amount to $96 per year for a worker earning $30,000 per year and $192 per year for one earning $60,000 a year. Anyone earning more than $80,000 a year would pay a maximum $256 per year to support the program. The business would pay each amount for every employee. "This is a new tax on work. It is a bad idea," Independence Institute economist Linda Gorman told Watchdog. "It doesn’t treat people equally because the tax varies by the size of one’s employer and the supposed benefits differ by family size, family construction, health status, and social network." Basically, FAMLI would raise employers’ cost of hiring people, especially married people, who are more likely to have children and older people who are more likely to suffer from health-related events, according to Gorman. "If the cost of hiring these people is higher, employers will find a way to hire fewer of them," she said. The Colorado Chamber of Commerce's reservations regarding the Paid Family Leave bill are numerous and varied. "Aside from the steep price tag of $1 billion per year, one of the major issues we have with this bill is that it fails to align with the federal Family and Medical Leave Act," Communications Director Cynthia Meyer said. Meyer said workers potentially could stack state and federal paid leave to receive six months off or more. "There are also several other technical and substantive provisions of the bill that are problematic and together impose a steep burden on Colorado employers and employees," Meyer said. The Colorado Chamber of Commerce supports paid family leave for workers, Meyer said. The "one size fits all" nature of FAMLI isn't the right approach and may well have unintended, negative consequences for the workers it's intended to help, she continued. "Every single worker and employer in the state will be responsible for funding this program, and will share the cost equally through a premium on wages," Meyer said. "There are no exemptions – even for small businesses which are provided under the federal Family Medical Leave Act, or for workers that already receive paid leave benefits from their employer." Small businesses will be particularly hard hit should FAMLI be enacted, according to the Colorado branch of NFIB, the National Federation of Independent Business. 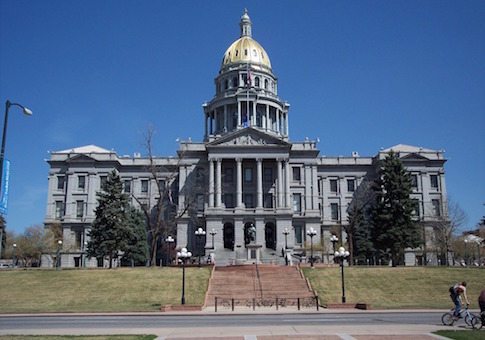 Eighty-two percent of members responding to an October 2018 NFIB Colorado survey said they opposed the bill, Colorado State Director Tony Gagliardi said. Many NFIB Colorado members already offer paid family leave, Gagliardi pointed out. "What our members oppose is a government mandate that assumes every business of any type or size can afford to offer the same benefits as large companies offer their employees," Gagliardi told Watchdog. Gorman points to a lack of any incentives for those hearing or reviewing FAMLI leave claims to deny them. "This fund provides a welcome mat for false claims," she said. "The people who will benefit most are the people who will have nice jobs managing the new fund and making the decision about who gets the tax money that has been harvested from people who are working." Gorman added that various items in SB 188 will open the door to endless lawsuits. "What is a victim of ‘abusive behavior’ at a time when abusive behavior is defined as conduct that can take many forms including ‘verbal acts and name-calling, as well as non-verbal behavior, such as graphic and written statements, or conduct that is physically threatening, harmful or humiliating?’ How does one prove someone else is a ‘close friend’ or a loved one?". Proponents and supporters of SB 188 assert that workers will be more satisfied and more productive as a result of enacting FAMLI. "Advocates are assuming they know more than business owners, which is silly," Gagliardi said. "When our members, who are Main Street entrepreneurs and business owners, tell us they can’t afford to offer the benefit, it is because they can’t afford the benefit." From a broad-based perspective, real GDP growth in Colorado would decline by approximately $1.5 billion by 2029 if SB 188 were to be enacted, according to an NFIB analysis. Cumulatively over the 10-year forecast window, NFIB projects the loss in real GDP would exceed $13.5 billion in a scenario where Colorado offsets excess revenues by reducing its tax burden. Furthermore, FAMLI would result in the loss of nearly 14,000 jobs in Colorado come 2029, according to an NFIB analysis. Loren Furman, the Colorado Chamber of Commerce's senior vice president of state and federal relations, has been working closely with FAMLI's sponsors over the course of the past few months in a bid to resolve the major issues the chamber has with the bill, Meyer noted.